Unique in it's design, this limited edition Coral & Pearl Necklace is by Silver Pansy. 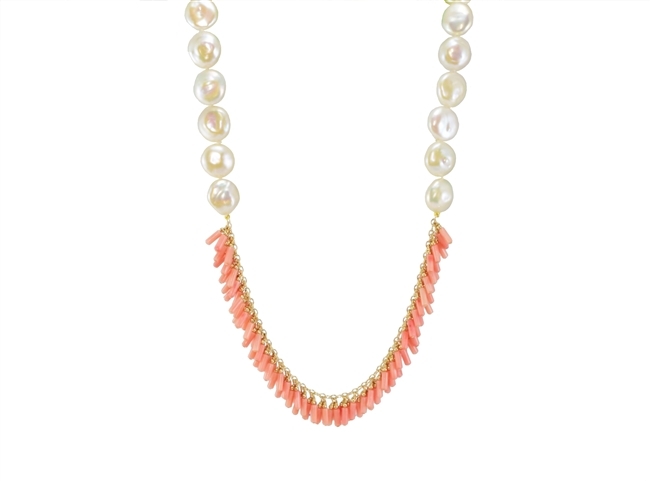 Peach Coral Beads are fringed in the front with large White Freshwater Coin Pearls (13-14mm) accenting the sides. Gold Filled chain and clasp. Made in the U.S. Length 19"